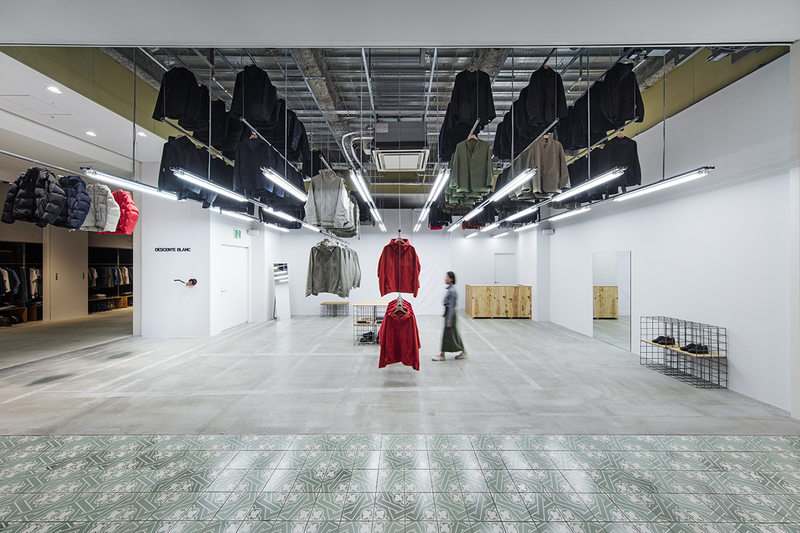 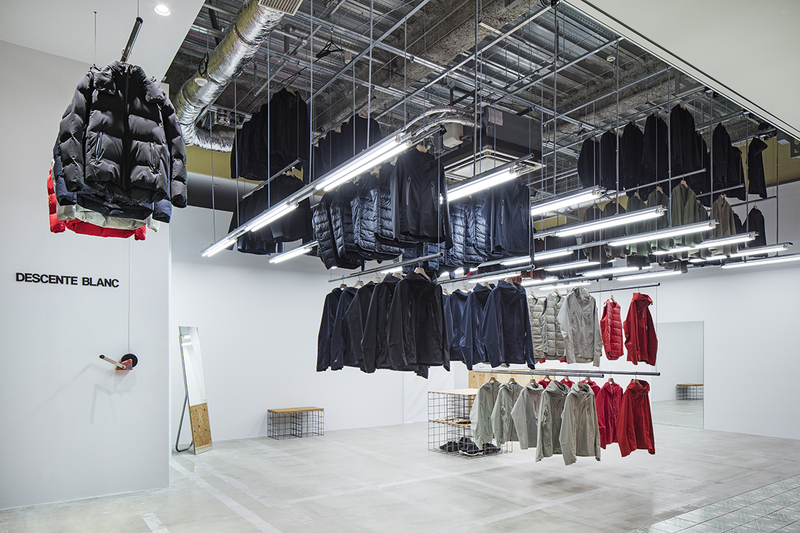 We designed DESCENTE BLANC’s 5th store located at MARK IS Minato Mirai, a large shopping mall in Yokohama. 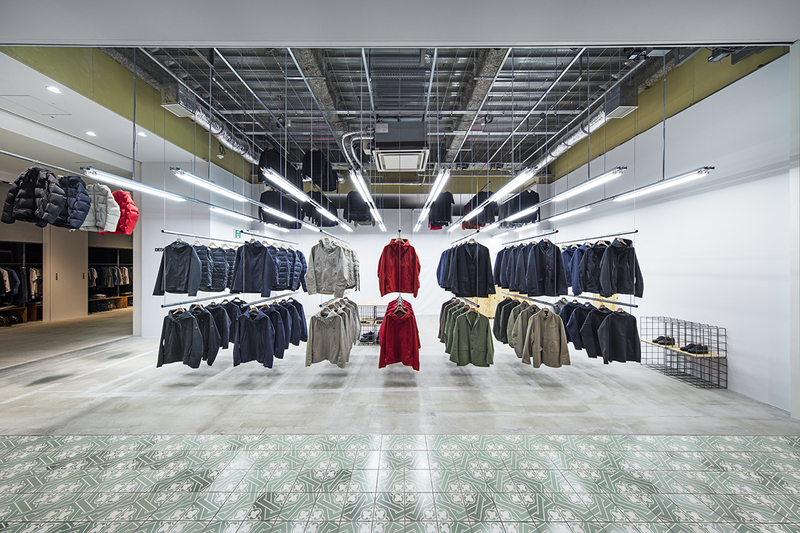 The store space had a high ceiling, and the ceiling height became even higher by removing the existing finish to expose the original ceiling. 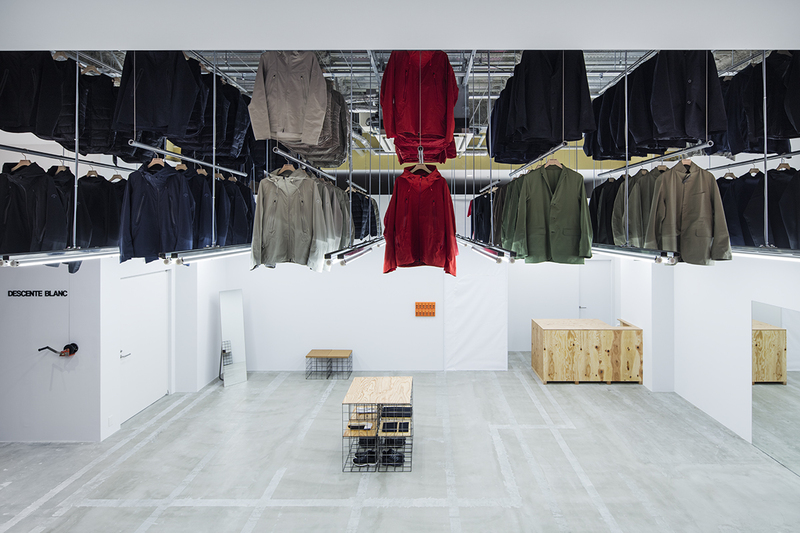 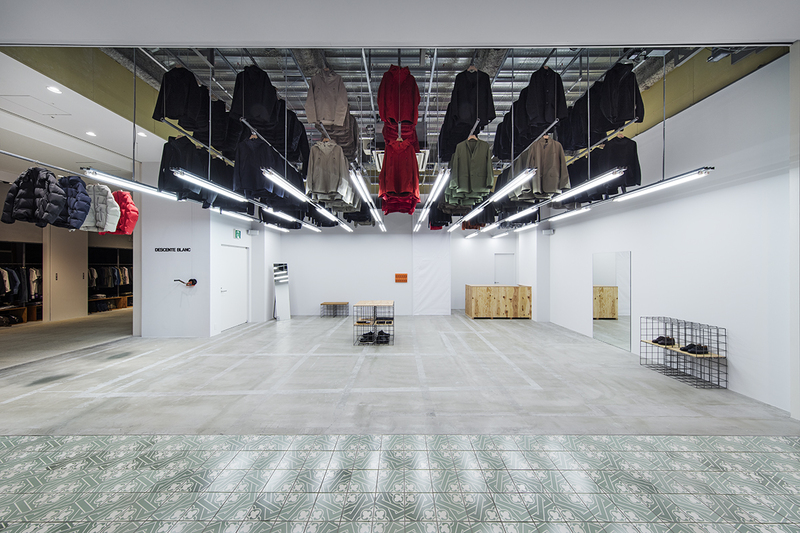 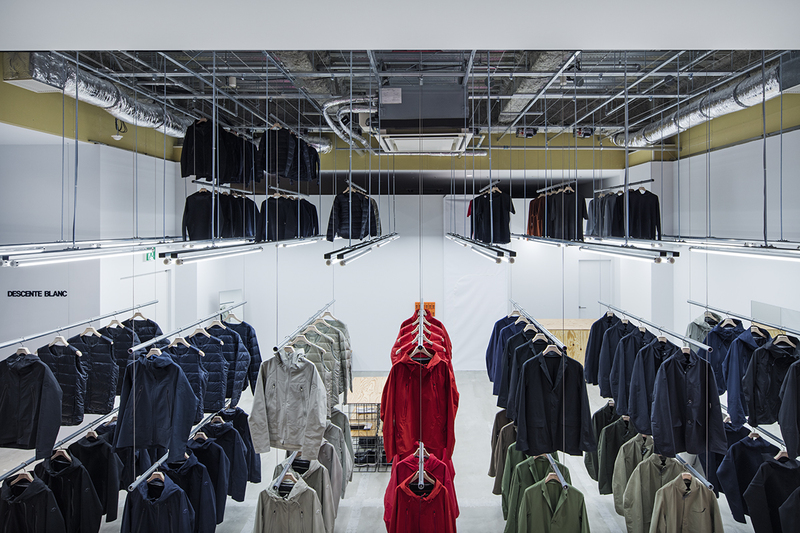 Our design for all of the DESTENTE BLANC stores is based on the concept of “redesigning the store staff’s routine action of picking up items from the stockroom” and use vertically moving display units hung from the ceiling. 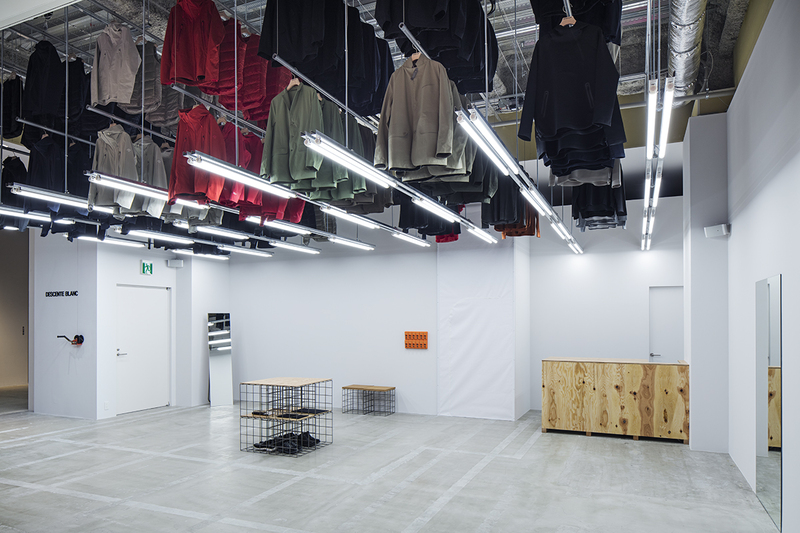 This time, we took advantage of the generous ceiling height and installed vertically moving double-bar display units. 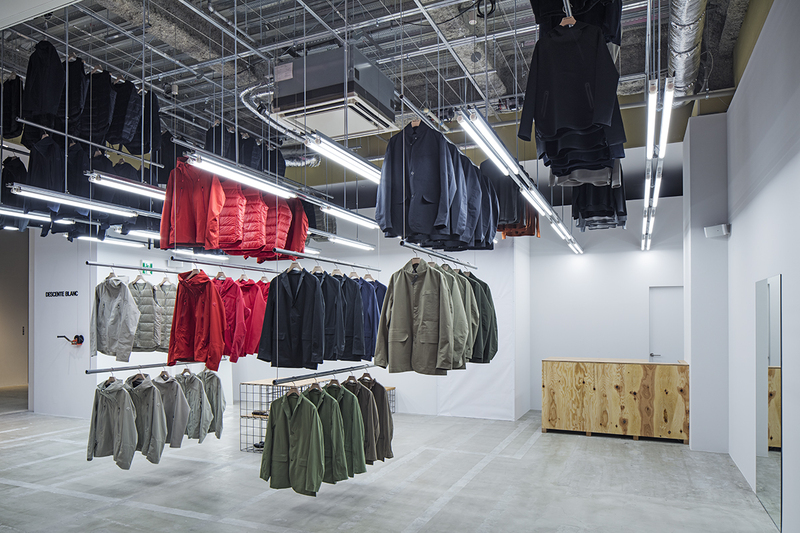 We adjusted the height of the display units so that the hemline of clothes would align with the “imaginary” ceiling line when the display units are set at the highest position, and the lighting is aligned at the same level. 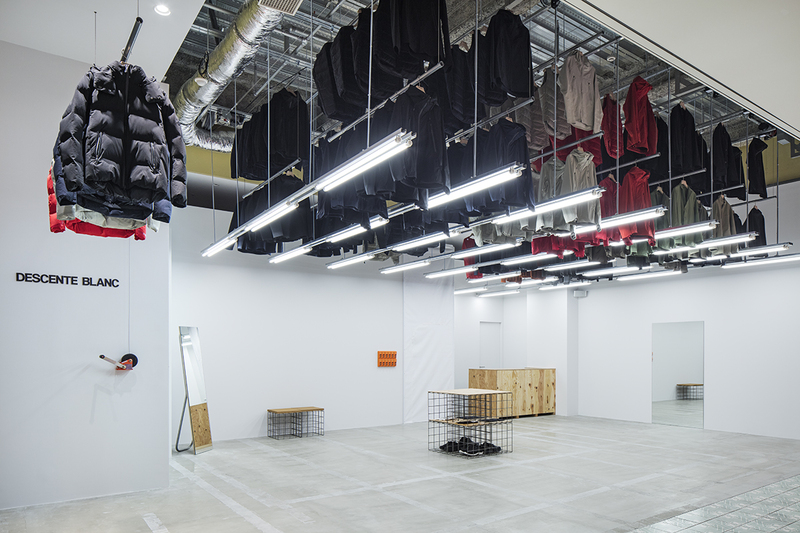 It is intended to look as if a thick chunk of clothes is hidden in the plenum.